Argyle Developments Inc. unveiled final floor plans for the convention centre. The new convention centre will feature 120,000 square feet of event space, including two distinct convention levels and a mix of multi-purpose, meeting and ballroom space. 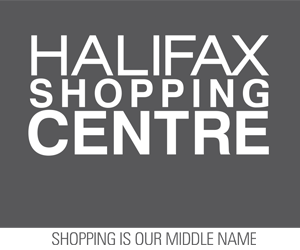 Mr. Ramia also announced a revised substantial completion date, Sept. 30, 2016, for the Nova Centre, with an official opening for the Halifax Convention Centre planned for January 2017. He explained the updated construction schedule and revised substantial completion date are because of design enhancements, after extensive public consultation, and the approval processes, as well as challenging weather during last winter’s construction season. Scott Ferguson, president and CEO of Trade Centre Ltd., also spoke at the event, highlighting the opportunity the development presents to attract new events, generate new business and contribute to the Nova Scotia economy. Trade Centre Ltd. confirmed that 30 events have been secured for the new Halifax Convention Centre, 17 of which are for 2016 that are affected by the updated construction schedule. Clients have been notified and will work with Trade Centre Ltd. to discuss options for 2017 and beyond. Mr. Ferguson noted public consultation and design collaboration have led to many enhancements to the space, including another level of meeting rooms and the Argyle Street level suite. The Nova Centre is the largest integrated development project yet in the province’s history, which includes the state-of-the-art Halifax Convention Centre, an adjoining hotel, financial tower and retail space. The funding of the new convention centre is shared among three levels of government, totalling $164.2 million.